Here on our farm we have been transitioning to no-till farming for a few years. One of the first things we did to begin not tilling was to plant more perennial vegetables. At its core, no-till farming is focused on not disturbing the soil. This is much different than what our current agricultural knowledge suggests we do. When I first suggested to my husband that we stop tilling he didn’t see how we were ever going to loosen up our clay, add compost, keep the weeds down, or even plant seeds. As we have moved closer to my goal he is seeing that the organisms in the soil (the fungi, bacteria, soil, and rock) do all the work we were doing, and more if we don’t continually break apart their world. We are all so accustomed to planting new seeds, or setting out annual seedlings, for our garden each year. I wanted to know what would happen if we planted vegetables that returned on their own each spring. What a treat it has been to have a section of the gardens where we don’t have to wait for the soil to dry out or warm up enough to begin gardening. Instead, these delicious edibles pop up with the first warm days and we can begin eating fresh garden produce much earlier than anyone else! My chives are up and ready to be cut! This member of the onion family is a tasty source of vitamins A and C. Using a pair of scissors, simply trim off some of the fresh greens and add them to anything from salad to eggs. I like them much better than onions actually, because they are much more mild. Chives are easy to grow from seed or by digging up a small bit from a friend’s garden and transplanting into your own. I remember picking asparagus when I was young and eating it before I could get it back to the house. I cleared a bed for these spring vegetables at my own home before I planted anything else. The crowns take a couple years to really get established but they’re worth the wait! Roasted, steamed, or baked, asparagus is delicious and a great source of calcium and vitamins A and C.
Sorrel is the main ingredient in some of the most delicious sauces and soups. I love the bright, lemony flavor of these leaves. It’s important to keep the raw addition of sorrel to salads to a minimum though. It is high in oxalates along with the good vitamins A, C, and iron, and that means it can be a digestive irritant in large amounts. I started a full garden row a few years back with seedlings and wouldn’t be without them! This native yellow flower gives us beauty in the summer and delicious food in the spring and fall. The tubers are packed with healthy pre-biotics and make a delicious alternative to potatoes. Once you plant a few tubers this beautiful plant will happily spread, giving you a ready crop for years to come! One of the books I remember on my mother’s bookshelves was called “Please Don’t Eat the Daisies.” It was a really great read, but the title is bad advice. In the case of the daylily, this is one perennial vegetable that invites us to eat the flowers. In Japan, the flower buds are cooked just like a green bean. Here in the West you can find the full blooms stuffed with various delicacies and baked or breaded and fried. Like the other perennial vegetables, daylily is high in vitamin A. This year, put away the tiller and plant some perennial vegetables. You will eat earlier, work less, and build your soil all at once! 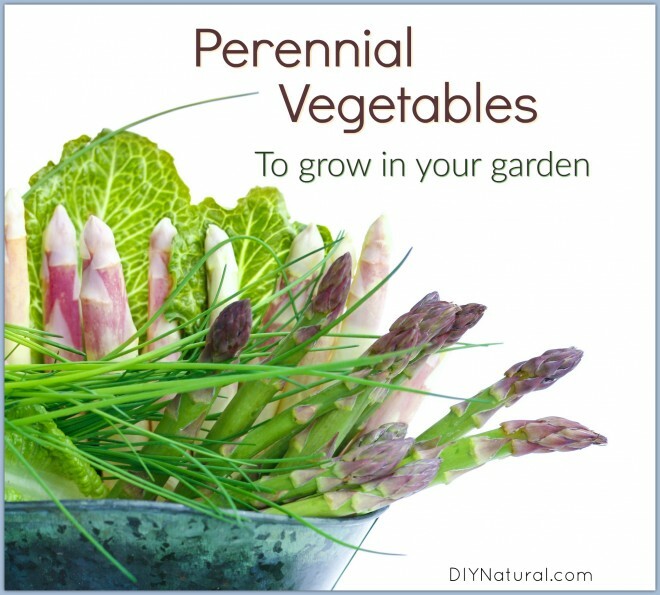 Do you grow any perennial veggies? Which ones are your favorites? Compost tumblers are expensive and usually made of plastic. Maybe they’re safe maybe not. 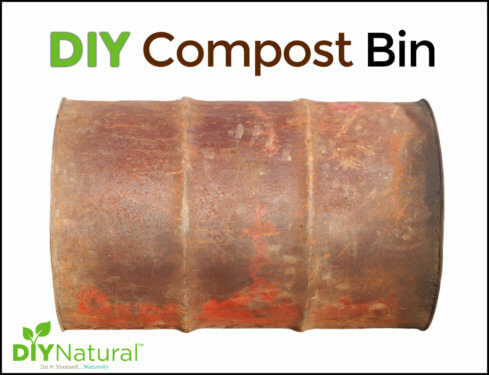 I’d rather have a metal DIY compost tumbler, so I made my own! Save money and grow your own tea garden! 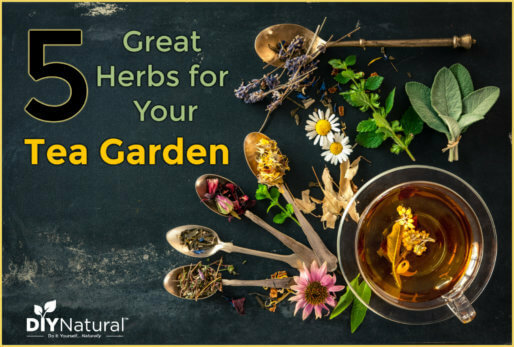 You get to pick which plants to grow and create tea blends with the freshest herbs! Here are 5 good herbs for tea. 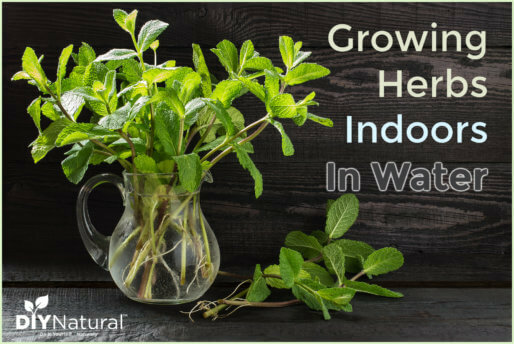 Growing herbs indoors can be tricky, one solution is growing herbs in water. Read on to see how we do it and for easy tips to keep your fresh herbs healthy. “Day lilies” is a name that covers a broad spectrum of flowers. The fact that you didn’t specify a particular strain must imply that NONE are poisonous. Is this true? They come in so many different colors and are usually sold as ornamentals. Pictures would have really helped in this case. The weed we have here in the United States is H. fulva. H. citrina is also a well-known edible, as is H. lilioasphodelus, etc., etc.. In fact, many of the daylilies are edible, but as you point out, this genus has been greatly hybridized for issues of color, height, day-length and hardiness. I left it open precisely because there are many options here, which means that the reader must decide which species works best in their locale and do a bit of research on their own. I would caution assuming that any hybrid would retain the original properties… I can’t imagine using a decorative daylily for food.